Pioneers in the industry, we offer multi layer film for lamination, rotogravure printed packaging rolls, toner pouches, printed laminated plastics rolls, roto gravure printed packaging rolls and laminated rolls from India. Our domain expertise has enabled us to bring forth Multi Layer Film for Lamination. These are manufactures using premium quality LDPE polyester and advanced methodologies by our professionals. Available in both aluminum and metallic films these are widely used for packing small and medium sized products. Further, we provide customization for the product as per the specifications provided by our clients for their maximum satisfaction. Our domain expertise has enabled us to bring forth Roto Gravure Printed Rolls. 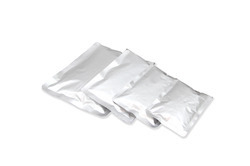 We are the manufacturers and supplier of the Toner Pouches. Our domain expertise has enabled us to bring forth Printed Laminated Rolls. These are manufactures using premium quality LDPE polyester and advanced methodologies by our professionals. Available in both aluminum and metallic films these are widely used for packing small and medium sized products. Further, we provide customization for the product as per the specifications provided by our clients for their maximum satisfaction. 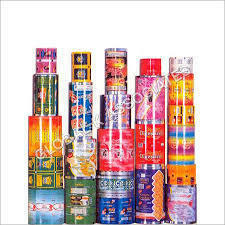 Our domain expertise has enabled us to bring forth Roto Gravure Printed Packaging Rolls. 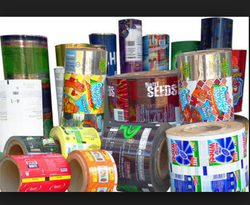 We are the Leading Manufacturers of Laminated Rolls. 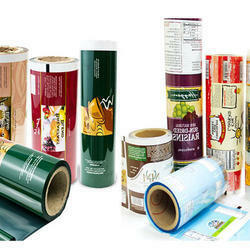 Our domain expertise has enabled us to bring forth Multi Layer Roll for Lamination. These are manufactures using premium quality LDPE polyester and advanced methodologies by our professionals. Available in both aluminum and metallic films these are widely used for packing small and medium sized products. Further, we provide customization for the product as per the specifications provided by our clients for their maximum satisfaction. Our domain expertise has enabled us to bring forth Flexible Packaging Film. These are manufactures using premium quality LDPE polyester and advanced methodologies by our professionals. Available in both aluminum and metallic films these are widely used for packing small and medium sized products. Further, we provide customization for the product as per the specifications provided by our clients for their maximum satisfaction. 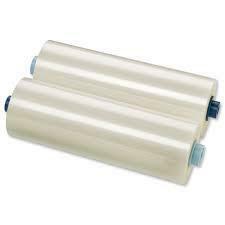 Our domain expertise has enabled us to bring forth Leak Proof Laminated Rolls. These are manufactures using premium quality LDPE polyester and advanced methodologies by our professionals. Available in both aluminum and metallic films these are widely used for packing small and medium sized products. Further, we provide customization for the product as per the specifications provided by our clients for their maximum satisfaction. We are one of the leading manufacturers and suppliers of a wide range of Unprinted Pouches. Hygienically prepared, airtight and moisture-free, these pouches not only preserve the flavor, freshness and quality of preservatives used in these snacks but also lend the products a visual appeal with attractive print details. 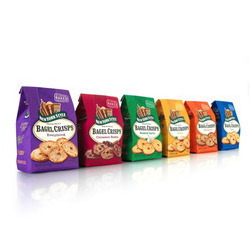 The offered range of pouches is extensively used to pack all type of snacks such as spicy snacks, cocktail snacks, pulse snacks, fried snacks, baked snacks, extruded snacks and many more. 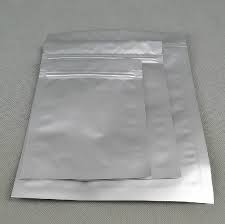 We are one of the leading manufacturers and suppliers of a wide range of Foil Pouch. Hygienically prepared, airtight and moisture-free, these pouches not only preserve the flavor, freshness and quality of preservatives used in these snacks but also lend the products a visual appeal with attractive print details. The offered range of pouches is extensively used to pack all type of snacks such as spicy snacks, cocktail snacks, pulse snacks, fried snacks, baked snacks, extruded snacks and many more. 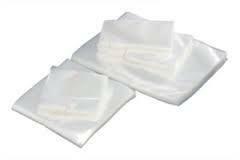 We are one of the leading manufacturers and suppliers of a wide range of Vaccuum Pouch. Hygienically prepared, airtight and moisture-free, these pouches not only preserve the flavor, freshness and quality of preservatives used in these snacks but also lend the products a visual appeal with attractive print details. The offered range of pouches is extensively used to pack all type of snacks such as spicy snacks, cocktail snacks, pulse snacks, fried snacks, baked snacks, extruded snacks and many more. We are one of the leading manufacturers and suppliers of a wide range of FMGC Pouches. Hygienically prepared, airtight and moisture-free, these pouches not only preserve the flavor, freshness and quality of preservatives used in these snacks but also lend the products a visual appeal with attractive print details. The offered range of pouches is extensively used to pack all type of snacks such as spicy snacks, cocktail snacks, pulse snacks, fried snacks, baked snacks, extruded snacks and many more. We are one of the leading manufacturers and suppliers of a wide range of Aluminium Foil pouches. Hygienically prepared, airtight and moisture-free, these pouches not only preserve the flavor, freshness and quality of preservatives used in these snacks but also lend the products a visual appeal with attractive print details. The offered range of pouches is extensively used to pack all type of snacks such as spicy snacks, cocktail snacks, pulse snacks, fried snacks, baked snacks, extruded snacks and many more. We are one of the leading manufacturers and suppliers of a wide range of Pharma Pouches. Hygienically prepared, airtight and moisture-free, these pouches not only preserve the flavor, freshness and quality of preservatives used in these snacks but also lend the products a visual appeal with attractive print details. The offered range of pouches is extensively used to pack all type of snacks such as spicy snacks, cocktail snacks, pulse snacks, fried snacks, baked snacks, extruded snacks and many more. We are one of the leading manufacturers and suppliers of a wide range o Transparent Pouches. Hygienically prepared, airtight and moisture-free, these pouches not only preserve the flavor, freshness and quality of preservatives used in these snacks but also lend the products a visual appeal with attractive print details. The offered range of pouches is extensively used to pack all type of snacks such as spicy snacks, cocktail snacks, pulse snacks, fried snacks, baked snacks, extruded snacks and many more.